Alexandru Ioan Cuza University of Iaşi is the oldest higher education institution in Romania. Since 1860, the university has been carrying on a tradition of excellence and innovation in the fields of education and research. With over 23.000 students and 742 academic staff, the university enjoys high prestige at national and international level and cooperates with 403 universities world-wide. Alexandru Ioan Cuza University is a member of some of the most important university networks and associations: the Coimbra Group, EUA – European University Association, Utrecht Network, International Association of Universities, University Agency of Francophony and the Network of Francophone Universities (RUFAC). These partnerships offer us the opportunity to experience changes, to have student and teacher mobilities and joint academic, research and strategy programmes. Alexandru Ioan Cuza University became the first student-centered university in Romania, once the Bologna Process was implemented. We believe in the power of individual choice and customized education. 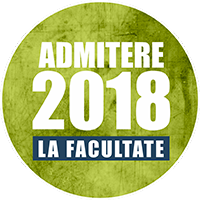 Thus, we became the first Romanian university to offer students the opportunity to choose both a major and a minor field of study, in a combination at their choice, that best suits their career goals. Research at our university is top level. In 2008, for the third year in a row, Alexandru Ioan Cuza University was placed first in the national research ranking compiled on the basis of Shanghai criteria. Our teachers are involved in over 187 national and international research projects. Striving for excellence, the university takes unique initiatives to stimulate research quality, to encourage dynamic and creative education and to involve its best students in academic life. National Plan for Research, Development and Innovation for the period 2015 – 2020 (PNCDI III) – 161 financing instruments. Total contracts value: 11,179,071 RON. Other projects under the national contracting authorities – 6. Total contracts value: 173,487 RON. Subsidiary contract for the implementation of the project “Electronic Electronic Access to Scientific Literature for Supporting the Research and Education System of ROMANIA – ANELIS PLUS 2020” – 502,055 RON, which ensures free access to the most important online libraries of scientific research literature – including databases: Clarivate Analytics, Science Direct Freedom Collection Journal ACCES, SCOPUS, MathSciNet, SciFinder, ScinceDirect and eBooks.